… but we can beat ’em. After all, we did just that three weeks ago. Hey, the Pats have to beat up on someone in the Super Bowl. It might as well be a team from New York. Jeeeeez. What a wet blanket. How lame can one person be? 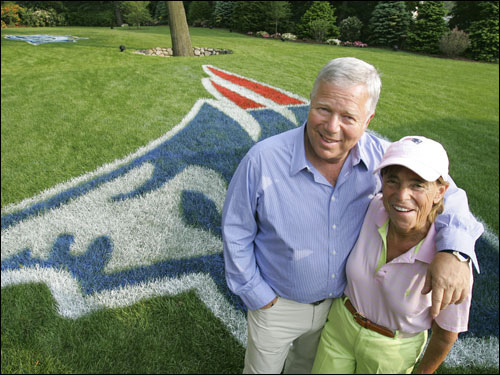 You’ll be hard-pressed to find a more generous sports owner than Uncle Bob (and his wife, Auntie Myra). The couple have donated tens of millions of dollars to a variety of philanthropic causes over the years. This woman, this Susie Davidson of Brookline, should look into that before she makes such lame characterizations.